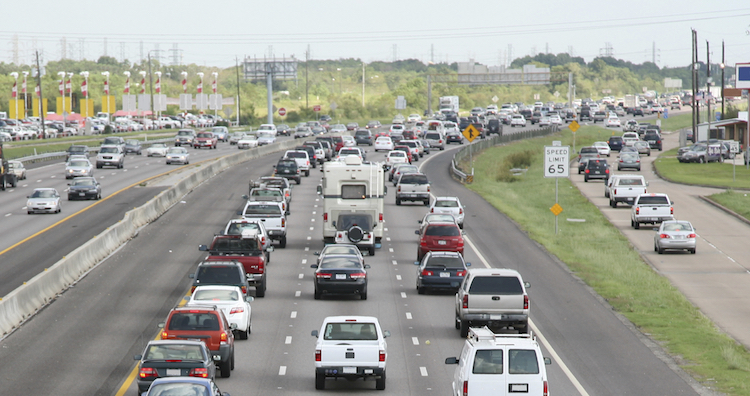 The average American spends 52 minutes commuting to and from work every day. One of the main reasons for this prolonged driving time is everyone’s most dreaded driving obstacle: traffic. Think about how many vehicles are on the road with only one or two passengers, all likely going similar routes. If we could create a more efficient way of getting to and from work, therefore reducing the number of cars on the road, we’d probably get there a whole lot faster. Luckily, there are a handful of new services that are attempting just that. The phrase “microtransit” isn’t really a “thing” yet, but the idea of a bus meets Uber hybrid is starting to pop up all over the US. Companies like Chariot (San Francisco) and Bridj (Boston, DC, Kansas City) have fleets of shuttle buses that run similar routes to the public bus system but tout more reliable and comfortable rides. Simply open the app, select your desired time and reserve a guaranteed seat. The service isn’t on-demand on like Uber, and you have to choose from one of their predetermined routes, but the price is typically much cheaper (and therefore better for your bank account). Even if you’ve had a bad experience with public transit in the past, don’t write it off just yet. Public transportation companies are continually improving their services, and in some cities, introducing totally revamped offerings. Throughout the Bay Area, Bus Rapid Transit (BRT) is currently under construction. These new buses will have dedicated lanes to free them of car traffic, and platforms to ensure seamless boarding. Over on the East Coast, Virginia recently debuted the Metroway system, a similar concept where a new fleet of buses travel in a dedicated lane and breeze by traffic. You don’t need to give up the freedom of driving to work to get there more efficiently. With a carpool service, you can make better use of your car and pick up others going the same way. While the hassle of finding someone who has a similar route and schedule might seem daunting, there is an array of new apps and services that make this easier. From Scoop, which lets you schedule your trip ahead of time, to UberPool, which you can order on-the-go, save money and time by sharing your commute. If one of these options works well for you and you find you are driving less, or your commute is more traffic than mileage, you could save a ton of money with Metromile’s pay-per-mile insurance offering. Get a quick quote now to see how much you could save! The following is a guest post from Katherine Oaks at Modernize, a site filled with advice about how to remodel and upgrade your home using the latest innovations. With the onslaught of new technology surrounding self-driving cars, ride-sharing services and connected cars, we often forget about an important aspect of car ownership. The place where your car actually lives, your garage. So if your home has a garage and you are looking for ways to update, automate and rejuvenate it, we found some of the best gadgets to make it happen. It goes without saying that the most ubiquitous and popular gadget for your garage is the automatic garage door opener. With a simple click of the button your garage door automatically opens for you…until it doesn’t. Over time, these small, battery-powered gadgets are prone to break, get lost or even stop working completely, a problem that inspired a much smarter solution. There are now beacons that will sense your arrival and open the garage door for you the moment you pull into the driveway. You can even share it with other users, so long as they download the app, and avoid accumulating more of those breakable and archaic buttons. You can have a garage tricked out with all of the latest technology, but none of that matters if you simply cannot find your car keys. Luckily, gadgets like Tile can save you fruitless hours of searching for your car keys only to find you had them in your hand the entire time. Attach the sensor to your keys just like a keyring, and it connects to an app on your smartphone. Lost your keys? Simply ring it and it responds. It even provides its location on a map so you can access your keys wherever they ended up. Upgrade to a futuristic interior. Having a tech-savvy garage doesn’t always mean it looks the part, but then again, it’s a lot cooler if it does. Try out some easy-to-install and stylish modular tile floors – they simply snap into place like Legos and you choose from any color or style tile to create a look that works best for you. Since the tiles are paint-free, there’s no need to worry about chipping or moisture build-up that will wear it down. And what is a souped-up garage good for if you can only use it during the warmer half of the year? Insulated steel garage doors can retain the internal temperature of your space. Follow these recommendations, download the Metromile smart driving app and you will be equipped to travel with ease from the moment you leave your garage!